Vladimir Dracula, the man behind Bram Stokers Dracula, only known for his vampire like traits and abilities. In history, he had a troubled childhood and exhibited the traits of a cruel man, but his country always remembers him as a hero, not a murderer. Vladimir Tepes was born the second son of Vlad Dracul and Cneajna in November or December of the year 1431 ("Vlad Dracula- Vlad the Impaler" 1-2). At the age of five, he incorporated membership to the Order of the Dragon, an organization composed of his father as well. He then which took the name Vlad Dracula, in which Dracula means son of dragon or devil. Later, when he turned thirteen, him and his younger brother Radu were sent as hostages to the Ottoman Empire. In the care of the Ottomans, he trained to become a knight and while in training witnessed torture and murders and sometimes participated in it (Miller 5). In addition, Dracula withstood being whipped or beaten by his captors because he acted rude and stubborn ("Vlad Dracula-Vlad the Impaler" 5). Many psychologists believe "these years were influential in shaping Vlad's character" and that with witnessing and undergoing these horrible acts that Vladimir's psyche would never rehabilitate ("Vlad Dracula-Vlad the Impaler" 5). Dracula ruled Wallachia for three periods ("Real World Vampire: Vlad the Impaler" 4). The first period began when he released from prison in 1448, at the age of 17, after his father and oldest brother Mircea were assassinated ("Vlad Dracula" 2). He ruled for only a little bit because the Hungarian army ousted the Turks. He then fled to Mondavia and protected by his uncle ("Real World Vampire: Vlad the Impaler" 4). After the death of his uncle, he went to Hungary and became their puppet for the throne. The next period started in 1456, which lasted until 1462. 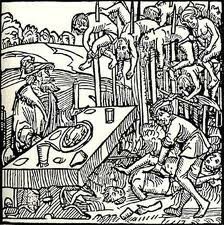 During this period, Vlad the Impaler garnered his reputation of cruelness. The main goal extracted the nobles power of always electing a weak power figure. The last two years of his rule consisted of a war in the second period. During this war, as cited by "Vlad Dracula-Vlad the Impaler", that he "had to take some very hard and cruel decisions," to win the war (12). The last period was brief because he died in 1476 (Miller 7-10). 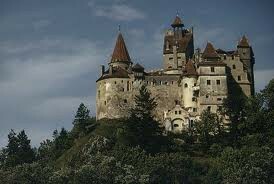 The most known castle of Dracula would be Bran Castle. This castle, built sometime before 1377, resides in Bran Gorge. Even though a very popular tourism spot in Romania, Vladimir Dracula never lived in this castle, but only in the book Dracula written by Bram Stoker. The first real castle of Dracula resided in Tǎrgoviste. Today, the giant fortress stands as nothing more then a defense tower, now known as Chinadia Tower ("Real World Vampire: Vlad the Impaler" 5-6). 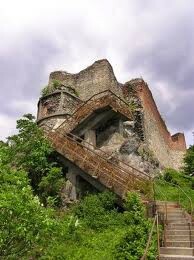 Poenari Castle, or known also as Castle Dracula, created a magnificent beauty in the 15th century. The castle became a safe haven for Dracula when he retreated from the Turks. Poenari Castle enforces an impenetrable feel with the high, stone walls and with the Carpathian Mountains resting beside it. In addition, the soldiers that manned this castle defended it with these tactics "outfitted with siphons where hot oil would be poured onto invading forces" ("Real World Vampire: Vlad the Impaler" 5-6). In addition, the nobles that killed his father, built this castle (Miller 8). Dracula, when a child, witnessed torture and murder under the hands of Ottomans. As his life progressed, he implemented the torture into his rule. During the second period of his rule, he committed the most of his violence ("Vlad Dracula" 14-16). The first act of violence committed happened when he lured the nobles that assassinated his father and brother into a banquet hall and burned them alive. These nobles believed in the Turk power and he had "roast Turkey" ("Vlad Dracula" 2) After that incident, monks traveled and spoke of his faults, and soon the Pope knew of them too ("Vlad Dracula" 3). In the war of 1461-1462 he did unspeakable horror against his own people to win the war. When he first retreated within his country he burned his own villages and poisoned his water wells to affect the Turk army ("Vlad Dracula" 14). In a Turkish Account they witnessed this, "saw his men impaled; the Sultan's army came upon a field filled with stakes, about three kilometers long and one kilometer wide. And there were large stakes on which they could see the impaled bodies of men, women, children, about twenty thousand of them... There were babies clinging to there mothers on the stakes, and birds had made nests in their breasts" (Miller 13). Multiple accounts differ, such as having people flayed and roasted, and one accounts says he made gypsies eat one of there group members since he was roasted (Miller 19, 24). There is little knowledge of his death, but he died in 1476 in the difficult winter. Many stories tell of different ways he perished, but the most popular consists of him fighting the Turks and passing away at Bucharest. The different ways he died were he got struck down by a disloyal noble, or by his own soldier. 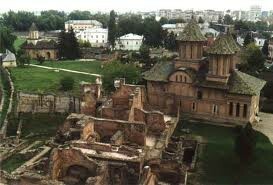 Historians believe that he got buried in Snagov Monastery, located on an island. His beheading became the only well known, document idea of his death. In the year 1931-1932, an archaeologist, Dinu Rosetti was sent by the Romanian People to search for the body there. He found multiple looted grave sites, but never believed the legend that he was buried by the doorway. He soon decided to research that area, and he did find a body dressed in Romanian dress for a noble. The skeleton he found still displayed a head intact ("Vlad Dracula/Tepes-The Impaler" 10, 12-14). Since this part of his death is well documented, other sources claim this, "his head sent to Constantinople where the sultan had it displayed on a stake as proof that the Impaler was dead" ("Vlad Dracula- Vlad the Impaler" 16). Some people believe he got buried somewhere else on the Monastery, or in an area where bodies would decomposes very quickly (Miller 37). But the only question to ask is, Where is Vladimir Dracula/Tepes buried? The story of Count Dracula, a man who is a vampire and enjoys the taste of blood in the streets of London. 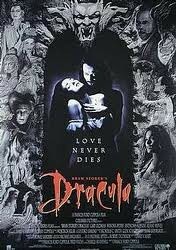 With famous actors Anthony Hopkins, Gary Oldman, Winona Ryder, tells the exuberant story of Count Dracula. A new twist on vampires, told from the point of veiw of Dorina Basarab, the daughter of Mircea, and the niece of the infamous Vladimir Dracula and Radu the Handsome. 1992 Movie Poster of Dracula. Digital image. Bram Stoker's Dracula. Wikipedia, n.d. Web. 15 Oct. 2012. <http://en.wikipedia.org/wiki/Bram_Stoker's_Dracula>. Bram Stoker's Dracula. Digital image. Reading Matters. N.p., n.d. Web. 15 Oct. 2012. <http://kimbofo.typepad.com/readingmatters/2007/12/book-group-sess.html>. Bran Caslte. Digital image. Tumblr. N.p., n.d. Web. 15 Oct. 2012. <http://www.tumblr.com/tagged/bran-castle>. Castle Poenari. Digital image. Who Was the Real Dracula Used as a Basis of Bram Stoker's Work. Annoyz Veiw, n.d. Web. 15 Oct. 2012. 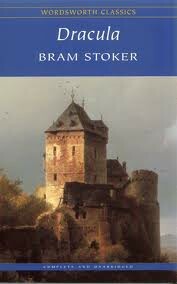 <http://annoyzview.wordpress.com/2012/01/17/who-was-the-real-dracula-used-as-basis-of-bram-stokers-work/>. Dollar, Maggie. "Real World Vampire: Vlad the Impaler." Suite101.com. Suite 101, 21 May 2011. Web. 13 Oct. 2012. 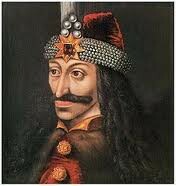 <http://suite101.com/article/real-world-vampire-vlad-the-impaler-a372390>. Digital image. Vladimir Dracula Family Crest. N.p., n.d. Web. 15 Oct. 2012. 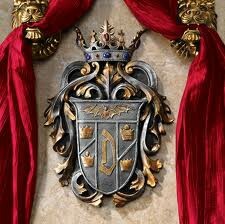 <http://www.designtoscano.com/product/medieval+and+gothic/new+medieval+and+gothic/count+dracula's+coat+of+arms+wall+plaque+-+cl6100/QuickView.do?sortby=>. Dracula Stakes. Digital image. The Myth. Dracula Land, n.d. Web. 15 Oct. 2012. <http://wwwimobiliare.ro/myth.htm>. "Dracula." Vlad. Between Hero and Vampire Dracula, 5 Aug. 2006. Web. 13 Oct. 2012. <http://www.draculas.info/vlad_iii_dracula/>. Midnight's Daughter. Digital image. Take a Chance. N.p., n.d. Web. 15 Oct. 2012. 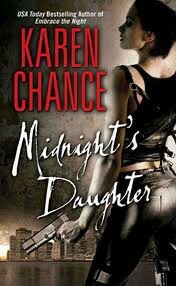 <http://www.karenchance.com/books_md.html>. Miller, Elizabeth, Dr. "Vlad The Impaler." Vlad The Impaler. N.p., 2005. Web. 13 Oct. 2012. <http://www.ucs.mun.ca/~emiller/vlad.html>. · Tǎrgoviste Ruins. Digital image. Panda's Blog. N.p., n.d. Web. 15 Oct. 2012. <http://adapandabuled.blogspot.com/2010/11/vlad-draculla-impaler.html>. "The Vampire in Modern American Media." The Vampire in Modern American Media. Web Jewel, 2000. Web. 13 Oct. 2012. <http://www.dartmouth.edu/~elektra/thesis.html>. Unmarked Gravestone. Digital image. 123RF, n.d. Web. 15 Oct. 2012. 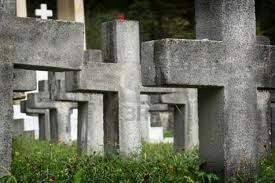 <http://www.123rf.com/photo_3680965_cemetery-with-rows-unmarked-gravestones.html>. "Vlad Dracula/Tepes - The Impaler." Vlad Dracula/Tepes - The Impaler. Castle of Spirits, 2001. Web. 15 Oct. 2012. <http://www.castleofspirits.com/vlad.html>. "Vlad Dracula." Vlad Dracula. HORRORFIND.com, 9 Nov. 2011. Web. 13 Oct. 2012. <http://usersites.horrorfind.com/home/horror/drlarry/vlad.htm>.